Today Adriana takes us on a family camping adventure to Urk and Giethoorn in the Netherlands, including food, flowers and family fun. Last spring, we spent a weekend in the Netherlands, exploring the regions Flevoland and Overijssel. 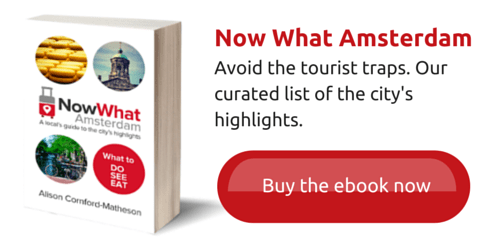 I was curious about Holland beyond the tourist trail around Amsterdam. Being a family of four, lodging can be expensive, even for a short stay, so we decided to go beyond our comfort zone and rent a mobile-home inside a campground. I had read about the good reputation of Dutch campsites online, so I was confident our first time staying in one would be ok.
We picked Het Bosbad campground, in Emmeloord, and were pleasantly surprised. The campsite is outside the town, in a beautiful patch of forest. It is clean and quiet, even with its proximity to the road. The mobile-home was designed for six people, with two bedrooms, a living area, and a kitchen equipped with everything necessary for a comfortable short or longer stay. 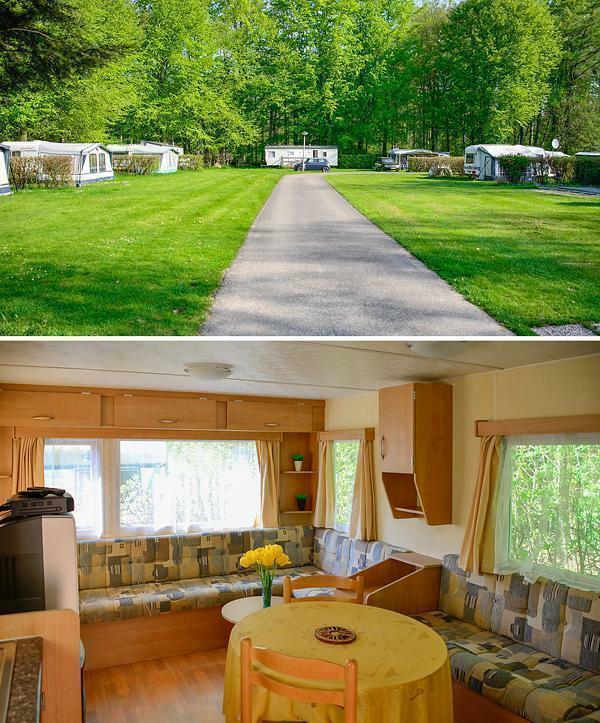 The campsite has two mobile-homes, a large space to pitch tents, and plenty of space to hook up your personal campervan or mobile-home. The price for the stay was unbeatable so we will be doing it again. 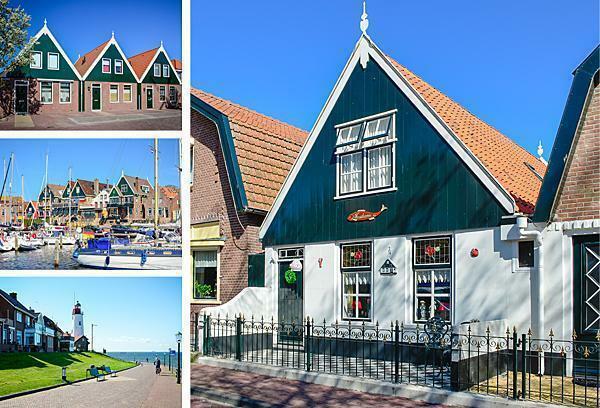 Our first stop was Urk, a charming little fishing village in the Flevoland region. It’s a must see in the area, as it is one of the most traditional villages in Netherlands. 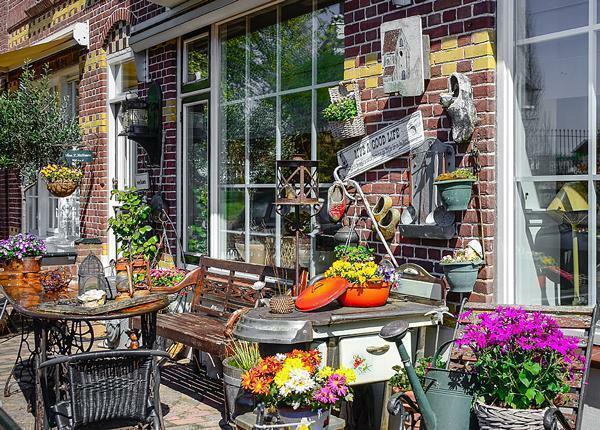 Urk’s residents take great pride in their homes. Everywhere you turn there are picturesque front yards, which make this little town so quaint. 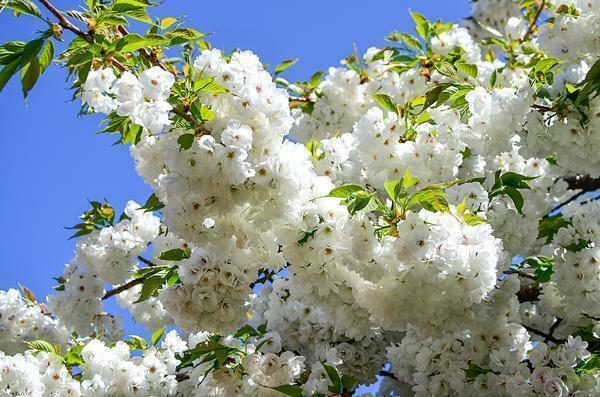 It’s such a pleasure to walk through, especially with all the sour cherry trees in bloom. The people are warm and welcoming and what impressed me most was everybody said “Hello” as we passed by. It felt very homey; like we belonged. 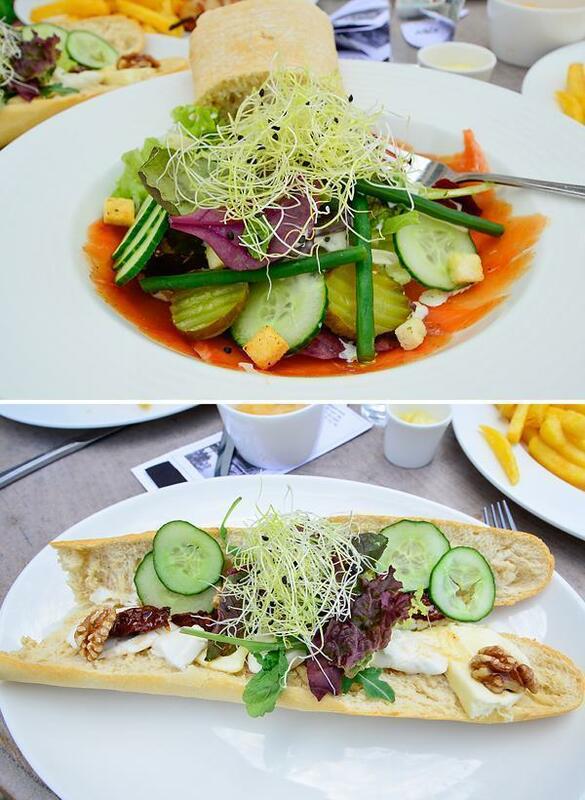 In Urk, the restaurant prices are great and the food is excellent. 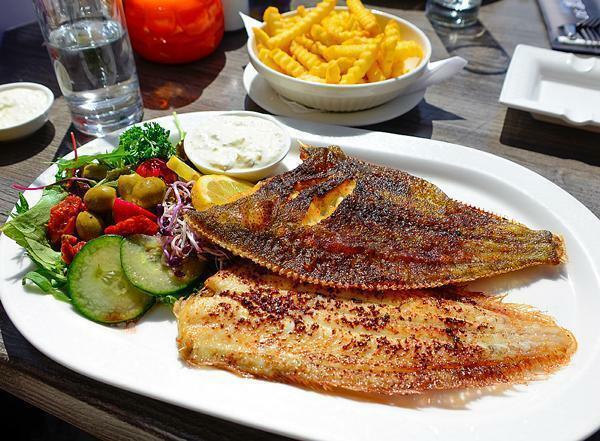 One must try the fish, when in a fishing village, especially the De Zeebodem restaurant, in the harbor. They serve great dishes that will not lighten your wallet but will satisfy your appetite. From Urk we went to De Orchideeën Hoeve, an orchid and butterfly exhibit. This exhibit has to be the best I’ve seen so far. It is large and set up in four parts. The first part is the tropical forest, decorated with a large variety of orchids. 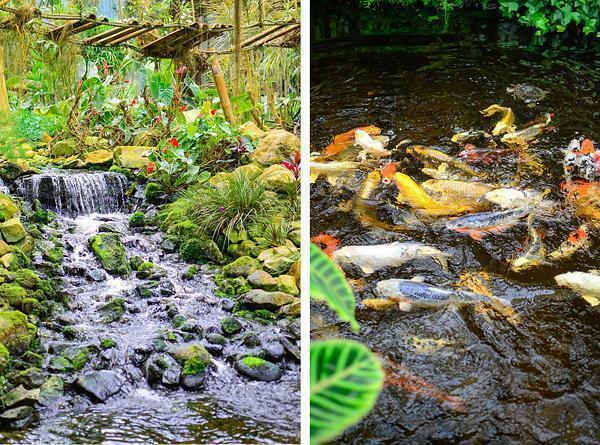 Within this section you cross small bridges over ponds full of koi fish, which you can feed from the feeders for a small fee. 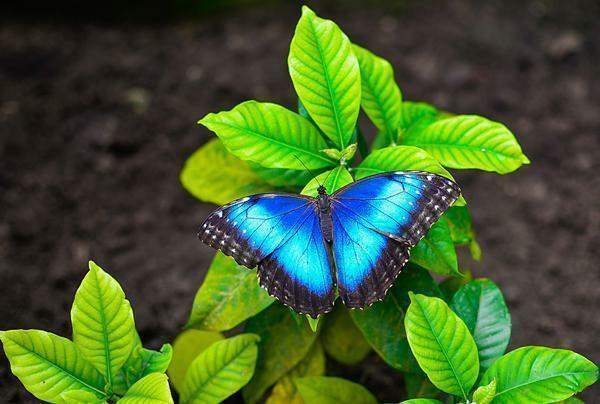 The second part is the butterfly house, inhabited by many species of butterflies, large and small, and not at all afraid to land on you. 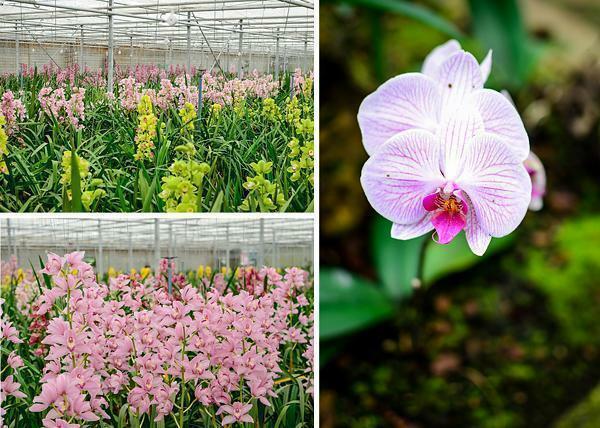 The third part is a greenhouse, overflowing with orchids for sale. I don’t think I have ever seen more orchids. It looks like an orchid forest. 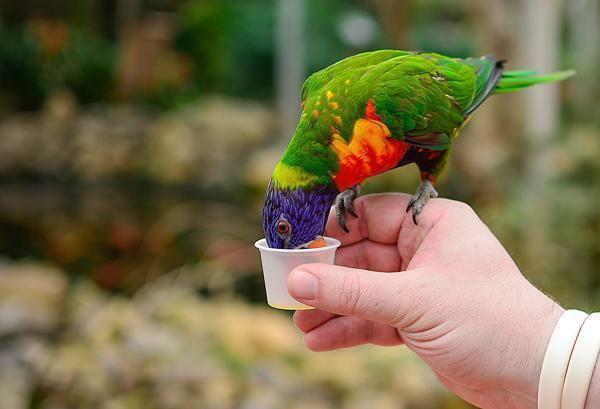 The forth part is a bird enclosure inhabited by very friendly parrots. For one euro you can buy a small juice cup and they will come to you and drink it. But beware; they tend to repay your kindness in poop. 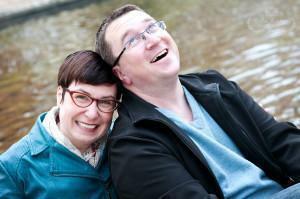 My husband learned that the hard way. De Orchideeën Hoeve is an amazing place. Our family enjoyed it very much. Giethoorn was, for me, the highlight of the trip. 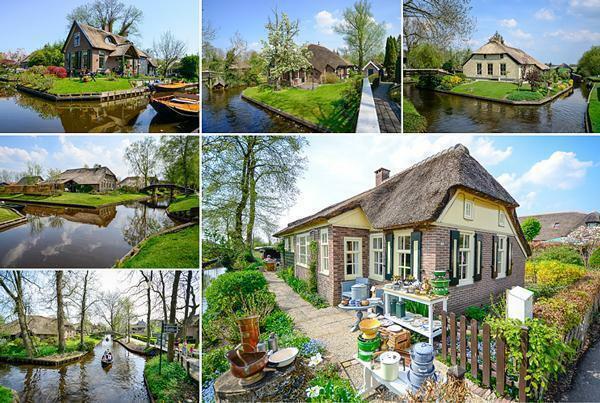 Located in the province of Overijssel, it’s the most amazing village. Canals go through the entire village, which is why it earned the title ‘Venice of the Netherlands.’ No cars can enter, so you park at the boat dock and then walk or rent a boat to explore the village. Renting a boat is a great experience. They run slow, so you can enjoy the place, take photos, and take it all in. The owners must be used to tourists staring at the beauty of their homes, so they act like there is nobody around. There are a few restaurants nestled between the beautiful houses. We chose the restaurant De Rietstulp by chance. I admit, I never do my homework when it comes to places to eat. We just wing it and somehow we always end up with wonderful food in front of us. The lunch menu had light but satiable dishes, full of wonderful flavors. 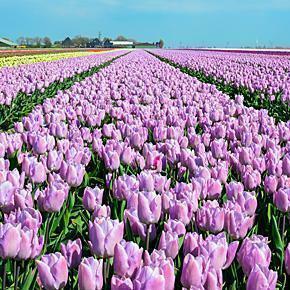 Apart from charming villages, we stopped by many tulip fields that blanket the area, bursting with color. There are many fields completely accessible to visitors and no one around. We have visited Keukenhof – the world’s largest flower garden, a few times and although it’s a wonderful place to visit, the downside, for me, is that it’s packed with visitors. Being alone in the tulip fields was a better and more personal experience. It’s a wonderful free activity that anybody would most definitely enjoy. We had an unforgettable weekend exploring the Dutch countryside. 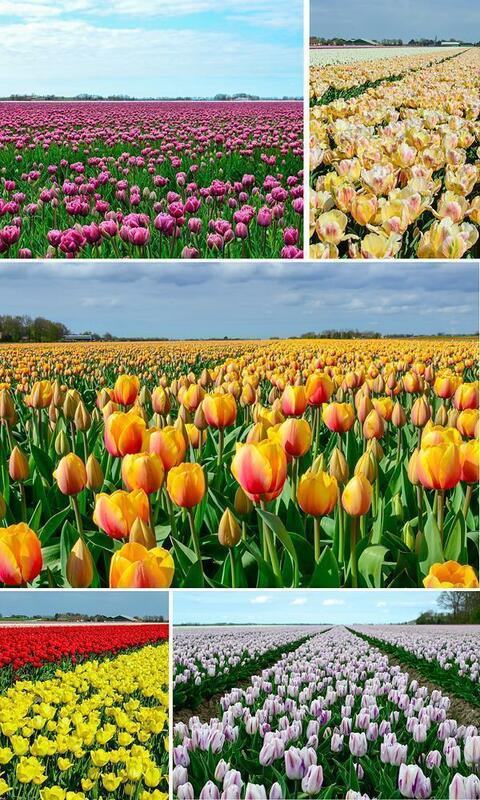 If you ever want to visit the Netherlands, do it in spring and start here. Looking for more of our favourite hotels in Belgium and beyond? Visit our Hotel Reviews page to find out where we’ve been sleeping. For more great restaurants around the world, check out our Restaurant Review page.